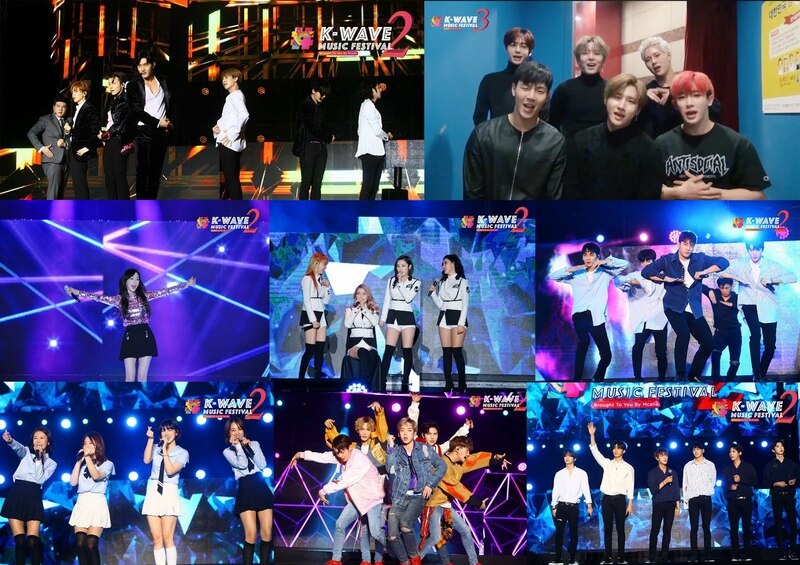 K-WAVE2 Music Festival (KWAVE2), one of the largest K-pop Music Festival in Malaysia organised by MacpiePro has successfully drawn more than 10,000 fans filling the sold-out venue, Stadium Merdeka on 13 January 2018. Following the mega-success of KWAVE2, a brand new K-WAVE 3 Music Festival is coming this year with first line-up announcement, Monsta X. Back to the all-star line-up KWAVE2 which a total of 7 Kpop idol groups - Super Junior, Girls' Generation's TAEYEON, NU'EST W, MAMAMOO, HALO, Tahiti and A.C.E were all together in Malaysia and headlined the 1-night K-WAVE 2 Music Festival. The talented rookie group, A.C.E took the stage with their energetic opening dance and continued with "Cactus" and "Callin" performances. A.C.E, a group of 5 members visited Malaysia for the first time amazed the fans with their outstanding performances. Their rock version of BLACKPINK's "Playing with Fire" has received lots of applause. Before KWAVE2, we managed to have a quick chat with A.C.E and talked about their recent participation in the survival programs 'MIXNINE' and 'The Unit'. Check out the interview HERE. After A.C.E's opening set, the lovely girl group, TAHITI appeared in the sky blue uniform outfits and performed "Phone Number", "Oppa You're Mine" and "Skip". The fans were surprised when TAHITI's Ari revealed her elder brother is currently lives in Malaysia and working as a tour guide! The shining 6 members boy group, HALO appeared up next and heated the stadium with their debut track 'Fever'. HALO expressed their happiness for being able to perform in Malaysia and not forgetting to thank the fans for the continuous support. Asides, HALO greeted fans at the Meet & Greet held on the next day of KWAVE2 at NU Sentral. Member Ooon was filled with happiness during the day as Malaysia fans prepared a birthday surprise for him. The temperature shot up when TAEYEON's VCR played on the screen. TAEYEON shared her mix feelings during the talk session and said it was actually difficult for her to come due to her personal reasons. But thanks to fans who gave her strength, she felt better and able to perform and meet the fans. TAEYEON pulled the heartstrings of most of us during 'I', '11:11' and 'Fine' performances. Her emotional yet powerful voice melted our hearts. The atmosphere changed when TAEYEON cracked up after listening to the translator translating into English. "I thought the translation will be in Malay but it's in English. I would have prepared something in English if I knew earlier!" - TAEYEON. NU'EST W who shined the most in 2017 returned to Malaysia and performed our all-time favourite song 'Hello'. 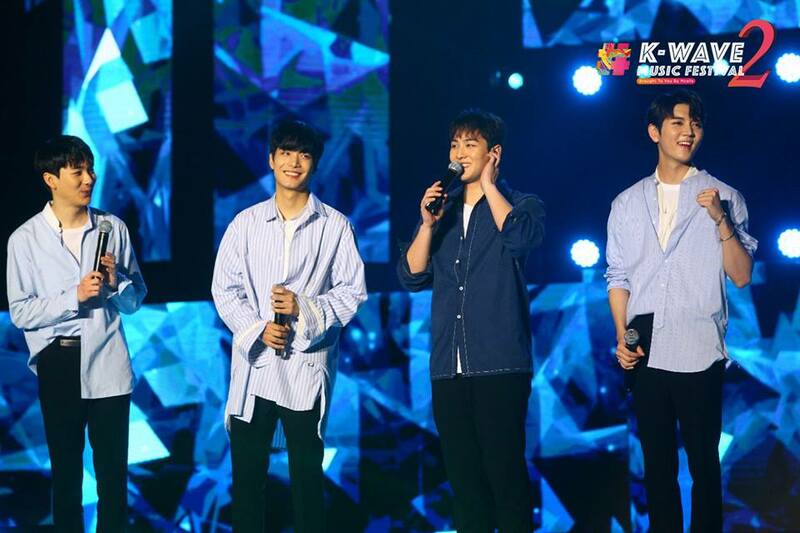 The 4 members can't hide their excitement by sharing their thought on returning to Malaysia. The fans were impressed by their ability in speaking in different languages - Korean, English, Malay and Mandarin. Aron, the English speaker was seen interacted with the fans in English all the time. However, Baekho, the Chinese speaker of the day, showed off his Mandarin skills "We miss you, did you miss us?" in Mandarin. Ren then received the loudest response from the crowd when he shouted "Malaysia Sayang". MAMAMOO wowed the audiences with powerful vocals when performing 'Yes I Am' and 'Decalcomanie'. Their vocals with well-blended harmonies made the fans went wild chanting for them. While indulging in MAMAMOO's powerful performances, fans were worried about Solar at the same time, as she was seen seated throughout the performances due to her back injury. Solar even apologised to the fans as she was not able to show her best. (ps: Solar, get well soon!) This was MAMAMOO first visit and so Hwasa thanked the fans for supporting them although this was their first time in Malaysia. 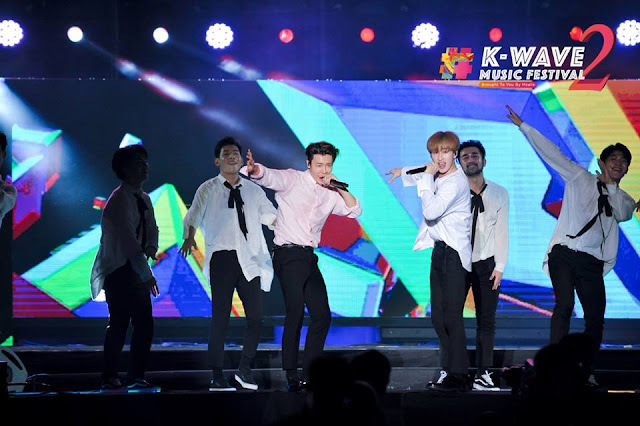 Malaysia frequent visitor - Super Junior returned as 7 members and took the stage with the never get bored, 'Sorry Sorry'. This was Super Junior first overseas performance after Eunhyuk, Donghae and Siwon discharged from the military and re-joined the group. The venue was filled with Sapphire Blue lightsticks as soon as Super Junior appeared on stage with the black and white suits. Super Junior never failed to bring laughter to the audiences. Check out the members showing their 'creative' way speaking in Malay. Leader, Lee Teuk even took out his phone and started to show off his Malay language skills. To our surprise, not only group performances there are also solo and sub-unit stages. Donghae and Eunhyuk reunited as Super Junior D&E and performed 'Oppa Oppa' & 'Growing Pain'. The lead vocalist, Yesung, however, serenaded the audiences with 'Here I Am'.